Professor Noam Chomsky has very enthusiastic fans, and also detractors. A great deal is written about him, a very great deal. But in all this material, it is his enthusiastic endorsements that reveal the most about him. Here I mention but three such cases: Churchill, Finkelstein, and, most important, Shahak. origins. That’s a real disgrace. precisely nothing to do with the outrageous events now underway. charges were serious, they would have been brought up before. For what it’s worth, there’s no indication of that in anything of his I read–that is, nothing more than is standard in scholarship. . . . . Such matters are sometimes raised in the context of political persecution, by cowards who are desperately seeking to conceal what they are really doing. Seems pretty transparent in this case. Why now and not before? 3. Finkelstein and Churchill are familiar to American newspaper readers. Not so Israel Shahak (1933-2001). By himself, Shahak would not at all be notable. He was an obscure instructor of chemistry in Israel, a Holocaust survivor, who, nevertheless, took it into his head that it was the Jews in history who were responsible for most of the calamities that have befallen the human race. I have reviewed his major opus "Jewish History, Jewish Religion, The Weight of Three Thousand Years some years ago; click here for this review. While some of Shahak's assertions are just funny ("Jewish children are actually taught" to utter a ritual curse when passing a non-Jewish cemetery; "both before and after a meal, a pious Jew ritually washes his hands....On one of these two occasions he is worshiping God... but on the other he is worshiping Satan..."), the bulk of his book is viciously anti-Semitic, no less virulent than the Nazis. And, indeed, all the major anti-Semitic crackpots of our day have taken him up as one of their heroes, the only truly good Jew that they can find. And Professor Chomsky ? "Shahak is an outstanding scholar, with remarkable insight and depth of knowledge. His work is informed and penetrating, a contribution of great value." 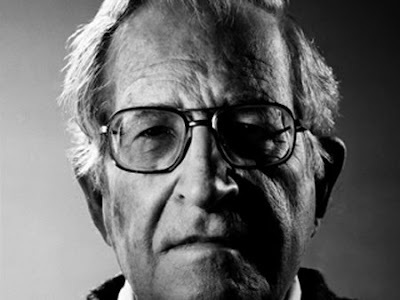 Noam Chomsky. Whatever else there is to be known about Noam Chomsky (there is a lot), this endorsement of Shahak is, to my mind, the most revealing. Read "The Jews Are Bad," my review of Shahak.